Genuine OEM Konica-Minolta Toner Cartridge, Cyan, 25,000 page yield. Konica-Minolta part number: A33K430, TN321C, TN-321C. Color Laser Toner Cartridge compatible with Konica-Minolta bizhub C224, C284, C364. Compatible Konica-Minolta Toner Cartridge, Cyan, 25,000 page yield. Replaces Konica-Minolta part number: A33K430, TN321C, TN-321C. Color Laser Toner Cartridge compatible with Konica-Minolta bizhub C224, C284, C364. Compatible Konica-Minolta Toner Cartridge, Magenta, 25,000 page yield. Replaces Konica-Minolta part number: A33K330, TN321M, TN-321M. Color Laser Toner Cartridge compatible with Konica-Minolta bizhub C224, C284, C364. Compatible Konica-Minolta Toner Cartridge, Yellow, 25,000 page yield. Replaces Konica-Minolta part number: A33K230, TN321Y, TN-321Y. Color Laser Toner Cartridge compatible with Konica-Minolta bizhub C224, C284, C364. Compatible Konica-Minolta Toner Cartridge, Black, 27,000 page yield. Replaces Konica-Minolta part number: A33K130, TN321K, TN-321K. 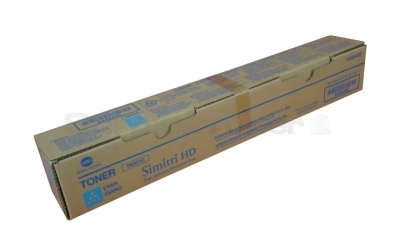 Laser Toner Cartridge compatible with Konica-Minolta bizhub C224, C284, C364.